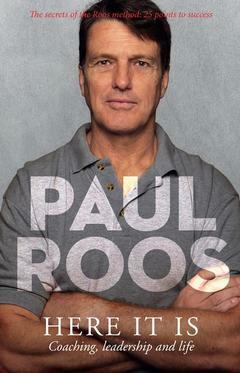 Paul Roos is a former AFL footballer and senior coach. He played 269 games for Fitzroy and 87 for Sydney. He was a two-time All-Australian captain and has been inducted into the Australian Football Hall of Fame. He coached the Sydney Swans from 2002–2010 and led them to the AFL premiership in 2005. He coached Melbourne Football Club from 2014–2016. He lives in Melbourne with his wife and two sons.